Our soft and minky style velveteen plush blankets are available in 3 sizes with the option to print on front with a white back or on front and back. 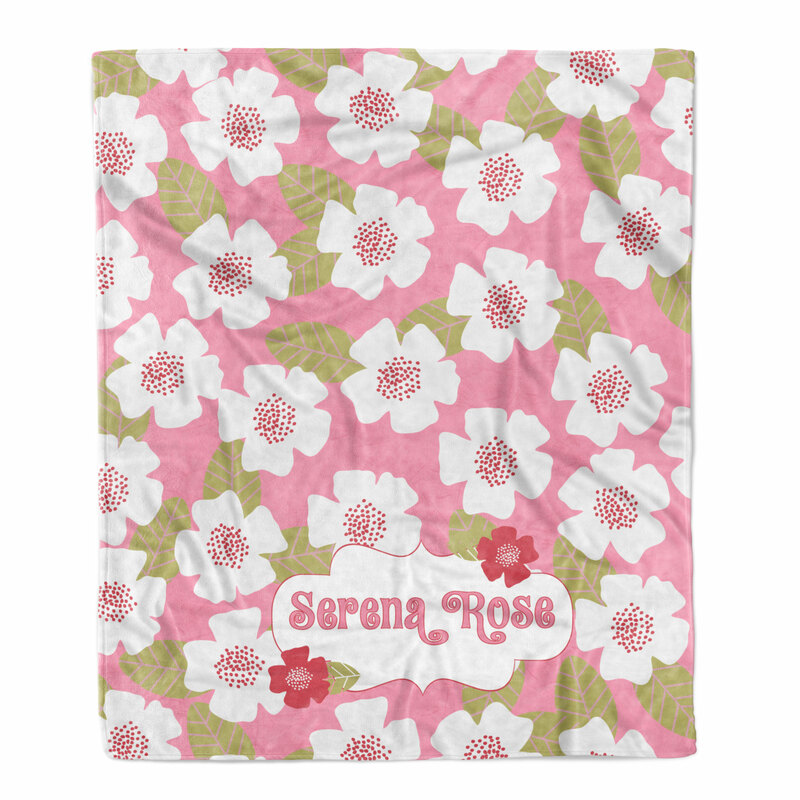 If you choose to have this blanket printed on the back side we will print a coordinating polka dot design instead of the same design as the front. 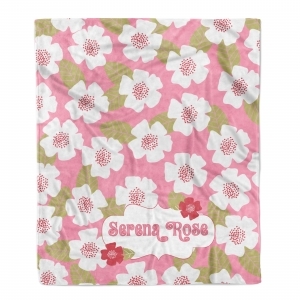 The unique printing process means that these blankets can be personalized with your name and the entire design is imprinted into the fabric of the blanket so these blankets will not crack or peel. Design prints edge to edge. Slight imperfections in the white fabric are normal.